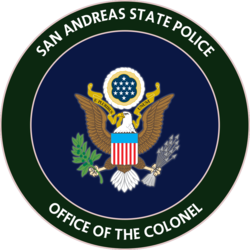 The San Andreas State Police recruitment opened on the 1st of August for Batch #37, in just one week we have seen one of the largest influx in applicants, making it one of the most competitive recruitment batches in recent months. Due to the large influx amount of applications, we have decided to extend the application deadline until 11:59PM, 11th August, 2016. Session #1 - Friday, 12th August, 2016. Session # 2 - Saturday, 13th August, 2016. Recruitment is at a year high, achieving almost double the amount of successful applicants in comparison to this month last year, we'd like to thank all parties involved, including Director of Recruitment Ronnie Moyles, for making Batch #37 run as smooth and as efficiently as possible. Article authorised by Lieutenant Colonel Vincent Kemp, High Command Team, San Andreas State Police. "I don't know, I assume [People come to Monty Park] because one person comes here, another one rolls around and they want company, and over time time people gather and mingle, human nature I guess." "Some people say it's been like this since the eighties; It's where all the new people come when they move to Red County." Whether it be the amazing dancing, great music, human nature or just a coincidence one thing is for sure, Montgomery Park's popularity has and will remain high for years to come. A place where all people can come, get along, have fun and make new friends. For SAN News I'm Katia Cortez. 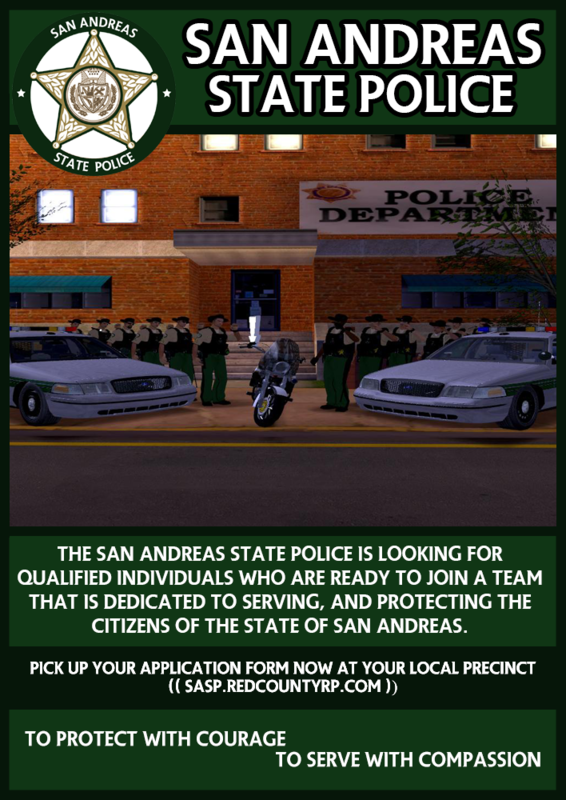 If you are looking forward to becoming like one of these fully-pledged heroes, then submit your application for the San Andreas State Police today by clicking here. We've had one of the longest serving High Command members in history leave us due to personal circumstances, as well as seen another High Command member resign at the same time. In normal circumstances it would be difficult to see two of the best workers go, however the infrastructure that this Department has in place dealt with it almost instantly and we managed to recover from the loss and get back to where the Department needs to be. We've also had radio protocol changes in the last month, as we move to a more modern unit referencing system which makes things easier for Watch Sergeants and other supervisors alike. It will take some getting used to, but knowing how this Department takes changes it will work and it will help us proceed. The amount of active Troopers patrolling on a daily basis has increased by a drastic amount and we seem to have resolved the lack of staff issue and I would like to thank everyone in the Department for that. ..click here to read more. As you are most likely aware, the player base has improved massively within the last months. It is an absolute pleasure to see the hard work of the whole team and community paying off and to see more people enjoy the server. Over the past few months, Tommy and the development team have been working non-stop, providing constant updates to keep improving the server, with the help of Giga's new tester team. It was mentioned last year that the illegal roleplay on the server was at an all time low, with no one having any interest in creating new roleplay. The development team introduced the weapon crate system as well as a complete rework of the weed system, and the Faction Administration team concentrated on illegal factions, listening to what they needed and now the improvements are clear. We now need to work on the legal side of things, the lowest peak we have had in the last month was 73 players and with only two legal factions, there is not much to do for a new player. Last year, we ran a competition for the best developed unofficial faction - it was judged on thread appearance, in-game roleplay, screenshots, member count, and originality. This seemed very popular with the community and we saw great factions as a result of this. In the next three months we are looking to make two legal factions and also an additional illegal faction official. To help encourage you, those factions that get official will be rewarded with $500,000 to spend on anything for the faction. Head to the Legal Factions area and check out the rules. Think of an idea for a faction, and make a cool looking template. Find some people you enjoy roleplaying with and set up a starting team. We recommend you do not open a faction on your own, it is hard work. Post your faction thread, we recommend you reserve the second post for media! If you have any questions regarding the rules, application process, or anything about factions then please feel free to speak to us. We hope you enjoy the competition and we're looking forward to seeing the results! Spring has come, the flowers have bloomed and our probationaries are finally nearing the end of their field training period. It is time to walk those who succeeded through hardship, stress, and teamwork on to the red carpet to become full troopers. This upcoming Sunday, May 1st 2016 at 7 PM (GMT + 0) at the Blackfield College in Las Venturas. This was picked due to the easy setup and access for friends and family.. Several of the department's divisions including Recruitment, Academy, Field Training, and Public Affairs will be organizing this, allowing for maximum attendance from all staff members of the department as well as a high attendance from the members of the public. This event is organized by the High Command Team, Public Affairs and by the members of Training & Recruitment. There comes a time when being too organized is just not enough. Our fellow High Command introduces to you a new, well-packed information center, including a fine repayment system, an easier weapon licensing system, explorer and ride-along program along with a desk for our recruitment days. These new programs will be run by San Andreas State Police Troopers as well as the Weapons Licensing and Public Affairs subdivisions. Our new explorer program will help those 'underage (Below 21 years of age) to participate in a fun-packed police experience whilst with a state trooper. They will embark on the quest to visualize what it is to be a police trooper and how to survive on the streets whilst protecting the lives of many others. 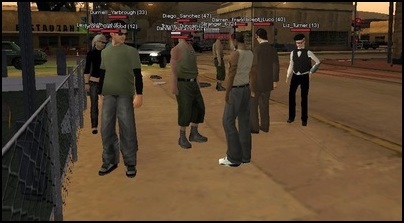 Also newly introduced is our fine repayment system, allowing all citizens of San Andreas to pay their fines in equal amounts on a weekly basis to decrease the tension on their daily lives, although, this is only available if you have fines totaling over $20,000. More information will be stated about the recruitment days famously known as open houses. Our current probationary batch for Academy #33 is currently nearing the end with about 7 out of our 17 academy graduates completing their field training exams. Recruitment for the upcoming batch #34 will be opened on April 31st, 2016. We encourage all applicants to await the upcoming date to post their applications. Any eager applicants can always submit a ride-along application to experience the field-work state troopers endure on a daily basis. 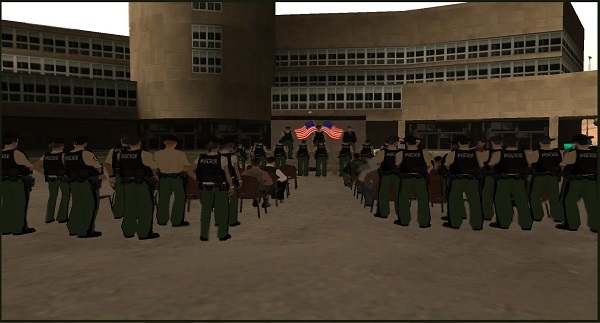 The State Police is currently building a civilian program allowing civilians to partake in careers along with the state police, further information will be provided in the upcoming weeks. The Public Affairs Unit is also looking forward to renovating the Montgomery Police Precinct in the upcoming weeks allowing us to best serve the state whilst being in the most popular city. After consultation with the National Association of Police Organizations, they made us aware that after independent review of the Department, that one of our biggest downfalls is our public systems available on our site. After much Research and Development it was made clear that the lack of an easy to navigate website and public friendly systems was being a massive downfall for the Department. So after much Research and Development we have the new Information Centre as it is now. It is sleek, efficient and brings the best of the SASP to the public in five simple buttons. It is one of the most easy to use websites around at the minute, and it really does pinpoint where the Department is in regards to modern technology, and pulling the Department forward into 2016. 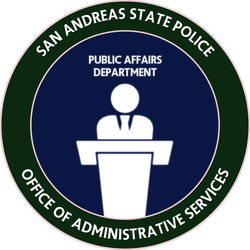 This is the start of many things that the Department is doing to modernise the San Andreas State Police. We want the best police force for the public, and changes like this is what makes the Department one of the best Law Enforcement Organisations in the United States. We are also looking to adapt on our Pubic Engagement Initiative very soon, and really work on core foundations at our Department, ensuring it's stability for the long term future. We are looking forward to representing the department with the utmost profession possible. If you have any complaints, please direct them to Internal Affairs. We encourage the public to report any information regarding any crime witnessed, please step forward and either call the State Police hotline, or come in person to the nearest police precinct. Added a texture color feature that will allow users to set a handful of different colors to their furniture textures. Added a nudge feature to the furniture system that can be used to make fine adjustments to the position of objects. Adjusted the order of the options in the furniture edit dialog. Changed the furniture texture application order from Texture->Slot->Index to Slot->Index->Texture. Improved dialog navigation of the /buyf menu. Furniture limit changes: donator level 1: 200, level two: 300, level three: 400, level 4: 500. Removed /checkweed, /waterweed, /plantweed and /harvestweed. These commands have been moved to the furniture editing dialog and will only show up on the correct objects. Players can now hold 24 bottles of water instead of 12. Added two new animations: /eatsit, /cry. Added an FPS counter to /stats. Fixed a bug where /afk messages would send to players in other virtual worlds when the command was used in a house or business. Fixed a bug where /laser could be used on any weapon. Fixed a bug where /lockgarage didn't work while inside of a garage. Fixed a bug where certain trucking jobs would not spawn the correct trailer. Fixed a bug where faction vehicles would not be set to the correct angle when collected from repair garages. Fixed a bug where impounded personal cars did not count towards a player's owned vehicle count. Fixed a bug where medkits could not be purchased. Fixed a bug where payphone phone numbers would not show up in 911 calls. Fixed a bug where phones could not be turned on through /phone when they were off. Fixed a bug where players could take damage while downed. Fixed a bug where previous weapon licenses would not be deleted when a current license was renewed or updated, causing incorrect information to be shown in the MDC and /licenses. Fixed a bug where the 'Low Wood Paneling' texture didn't work on certain occasions. Fixed a few issues with vehicle impounds. Fixed a handful of issues with the weed growing script, it is now fully functional again. Fixed a slight mapping bug in House Interior 17. Select My Characters from the navigation menu. Click View on the character that you used to donate. Scroll down to the settings section and select View TeamSpeak Channels. Next simply click Create and then enter the name of your channel. Your channel is now created. In order to obtain Channel Admin status in your channel, simply copy the priviledge key on the TeamSpeak channel page. Click on Permissions and then Use Priviledge Key. Paste your priviledge key into the dialog and click OK.
After following the above instructions, you should now have Channel Admin status for your channel. You can then edit your channel description and so on by right-clicking your channel and selecting Edit Channel. In order to grant other users Channel Admin status in your TeamSpeak channel, simply go back to the View TeamSpeak Channels page, click Generate New next to the used priviledge key, send this priviledge key to the desired user, and then ask them to follow steps 7-8. If you happen to experience any problems with this new system or require further assistance in-regards to your TeamSpeak channel, then please create a new support ticket and we'll get to it as soon as possible.